In most of the tropics, droughts are becoming more frequent and severe as a result of climate change. All trees are not created equal, however. Research published in New Phytologist suggests that tropical forests in Panama get better at coping with drought as they get older. 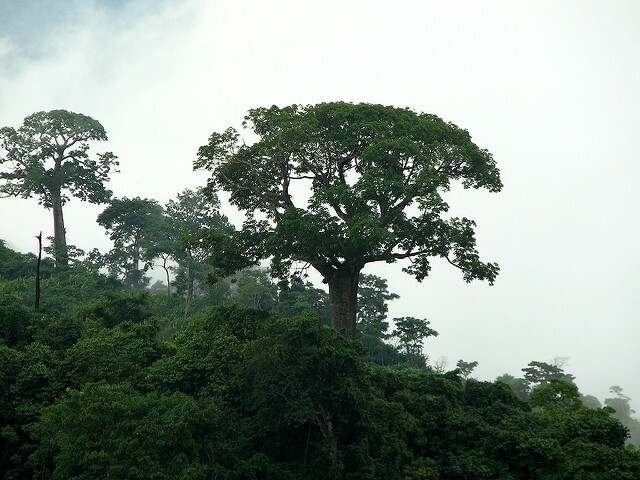 Mario Bretfeld and colleagues at the Smithsonian Tropical Research Institute used plant water use data to study how tropical forests coped with drought. Their findings are important for understanding how tropical forests will respond to the increasingly severe and frequent droughts predicted by climate change models. Tropical forest canopy. flickr/cordyceps. CC BY-NC-SA 2.0. Find out more on the New Phyt blog.